If you prefer a mall that offers variety of stores and is also closer to the campus, Hilldale is a place to go. You will find Macy’s and many other selection of stores, including Kate Spade, Lululemon, Northface, LUSH, Madewell and Free people (coming this Fall yay!). It’s a great place for a girls night out because of, well, those brands, but also its warm atmosphere. It also offers many great restaurants for you and your besties to dine in after all the shopping fun! 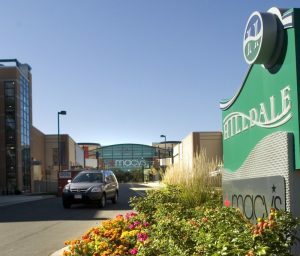 West Towne Mall is probably one of the most popular shopping malls in Madison. It includes JCPenney, Boston Store, and Sears. 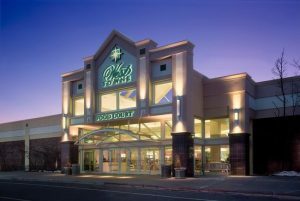 In addition, you will also find wide range of popular brands such as Victoria’s Secrets, Pottery Barn, Apple Store and Ann Taylor. If you ever get hungry after shopping, there is a food court inside and other restaurants nearby. 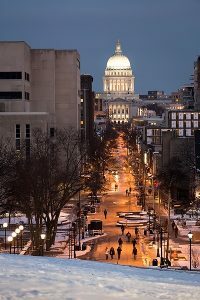 Shopping on State Street with the besties is one of my favorite things to do. You will not only find popular clothing brands like Urban Outfitters and Gap, but also local apparel boutiques and jewelry shops.